Our 33 inch handcuff ties have a Max tensile strength and is made of 1/8 inch thick 6/6 high quality nylon. 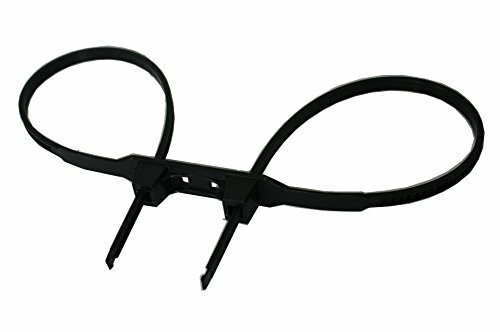 This pack includes a TOTAL of 25 handcuff ties that can withstand temperatures between -40 F- 185 F. Applicaton: these durable and disposable handcuff ties are great for law enforcement agencies, military personnel, high profile event security, government agencies and any other areas where temporary detention of individuals may be necessary. The Non-Metallic design using a high quality 6/6 nylon makes these handcuff ties Undetectable and lightweight. The deep tooth locking mechanism provides extra strength and durability. With an 1 1/2 inch wide grip spacer our ties are designed to minimize contact with injured individuals who may be bleeding, reducing the chance of unnecessary exposure to the arresting officer.